Macao is a generic graph drawing software that lets you create and manipulate graphs quickly and easily. It is an intuitive interface that enables to automates many of the time-consuming tasks involved in building graphs. Macao customization facilities enable the quick implementation of a new graph editor dedicated to a new type of graphical representation.This enable prototyping of new formalism, which is usefull when defining them. 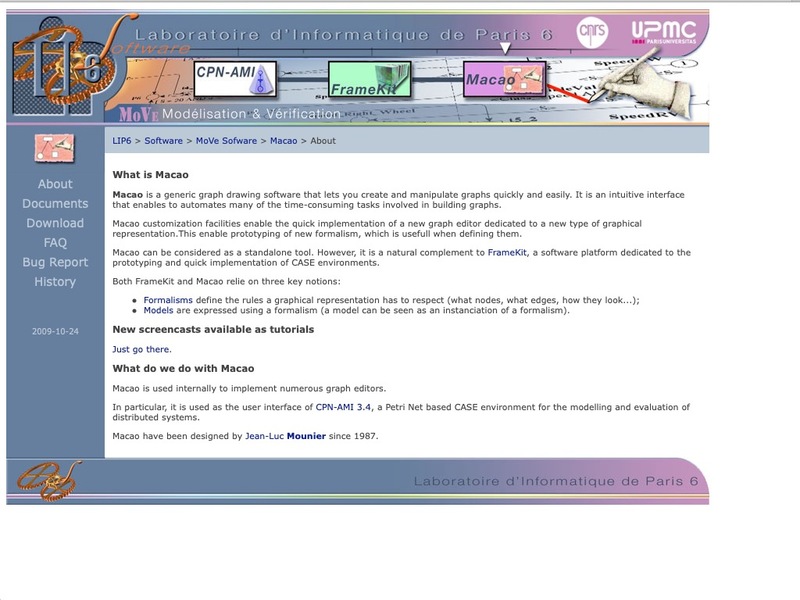 Macao can be considered as a standalone tool. However, it is a natural complement to FrameKit, a software platform dedicated to the prototyping and quick implementation of CASE environments.